The furniture company is using the application to give a 3D display of how its products fit in a room. IKEA shoppers will no longer need to rely solely on their imaginations when considering various furniture items for their homes, because of a new augmented reality app that will allow them to preview the piece in a 3D real time image. Though walking through the store with a measuring tape is still important, it can also be very confusing. Shoppers can’t always tell if a piece of furniture will fit properly into a room, or how it will look once it gets there, even when they have measured the space and the piece. Instead, they have been forced to rely on their imaginations and their memories to try to decide whether or not they are making the right choice. 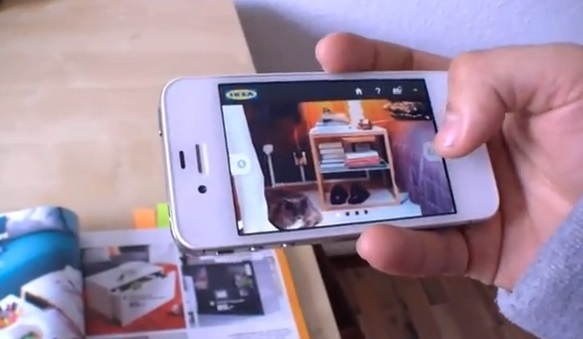 But IKEA intends to provide a helping hand through the use of augmented reality that can be used on a mobile device. The augmented reality app from the Swedish furniture maker is Android and iOS compatible. The new augmented reality feature to the app lets the 2014 catalog be used by the consumer along with his or her smartphone or tablet, so that they will be able to view in real time how a piece of furniture will look in one of the rooms of their home. Though this is not a perfect depiction of exactly how it will appear, it will certainly provide the shopper with a much clearer image of what they can expect, right there in their own homes. According to the Ikea North America chief marketing officer, Leontyne Green Sykes, “While the hard copy is still relevant, allowing readers to tear out pages to create collages of the things they like, it’s also exciting to interact, throughout the year wherever you are, with a catalog when it becomes a mobile piece with a digital component.” The augmented reality feature is one that the CMO claims has been “desired by our users since we launched the app last year.” That first version of the app was downloaded by 8.5 million users last year.